Wondering how you can lower your Foxtel bill without having to switch providers or switch it off completely? Been there, done that – as TV aerial installation pros, we’ve got a few tricks up our sleeve to share. We’ll run you through our top tips and hacks to help you get the shows you love for a lot less than you pay now. But first, how much does pay TV cost? In Australia, the main provider for Pay TV is Foxtel, with Austar and a handful of smaller cable/satellite providers servicing regional areas. But for this guide, we’ll just focus on Foxtel. As you can see, the costs for pay TV can add up really quickly, right from your first month and installation, and then ongoing! So let’s talk about how you can minimise these costs while still enjoying the best parts of your Foxtel subscription. Log into your online account and download the latest bill from Foxtel. Check through the list of charges and see if there’s anything you’re not sure about or that you don’t need. Don’t be afraid to call up your provider and ask to cancel something you’re not using. Foxtel’s base package is the Entertainment Pack for $26 per month, but if you add on all the extra options right through to the Platinum HD pack, you could end up paying $135 every month. Ouch! Chances are, you don’t watch that many channels, so see if you can cut back some of the extras. How many movies do you really need to watch at home? For most people, the movies channel will provide plenty of options without needing to hire movies from the box office, which adds extra fees on top of your monthly bill. Instead, choose to go with either the movies channel OR choose to rent out a few movies from the box office each month. Foxtel charges you $2 for every paper bill they send in the mail. That’s $24 every year just to look at a bill! Save some money and trees when you convert your billing over to online only. The smart way to pay for your Foxtel is via direct debit. Other payment methods, like credit cards and paying over the counter will incur a surcharge. Foxtel charges 0.7% for credit card payments and a $1.50 surcharge on all over the counter payments. 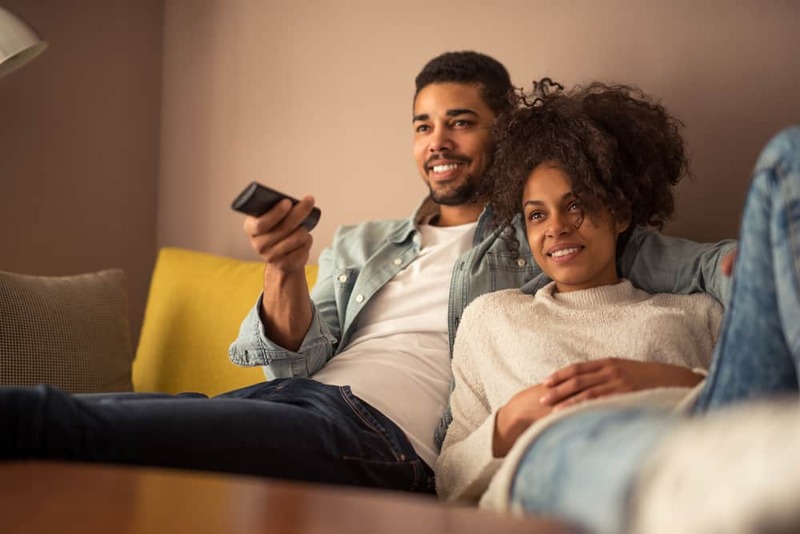 Your set-top box connects to your satellite dish and your TV aerial installation, which means you can get both Pay TV and free-to-air channels in one place. To save on technician callout fees, get the self-install kit for just $25. You’ll just need to follow the instructions, set aside a little time, and you should be able to get it up and running yourself. You don’t have to book your satellite installation through Foxtel’s technicians. You may be able to get a better deal by booking with your local TV aerial installation technicians instead. Plus, they’ll be able to take a look at your other connections while they’re at your home. So if you need a TV wall point installed, or you need them to check on your existing TV aerial installation, it’ll be better value for you to get it done at the same time. Think carefully about whether you really need Foxtel on that second TV or not. Because if you decide you’d like a second Foxtel connection, you’ll need to pay for another set-top box and get it installed. Do you really need the fanciest piece of equipment for your Foxtel set top box? Probably not. Go with a more basic option and you’ll save some money without compromising on your experience. See if you can bypass the contracts when you sign up. The problem with contracts is you lose the ability to negotiate, leave, or find a better deal until the term is up, which could be anywhere from 12-24 months. If you’re locked into a contract you don’t want, this could mean you end up paying thousands more. See if your provider will let you go month-to-month so you’re not locked in. If you’re already a Telstra customer, you might be able to negotiate a special price for Foxtel. Right now, you can save $10 per month on the Entertainment pack or $20 per month on the Platinum HD pack when you sign up through Telstra. Pay TV providers don’t want to lose you as a customer, so given the chance, they may offer you a special deal if you call them to negotiate. If you really want to stick with Foxtel, you could bluff your way to a discount by pretending you’re calling up to disconnect. Just make sure you have a valid reason for disconnecting (like “I just got Netflix and it’s awesome) and have a reasonable discount in mind. Or if you’re new to Pay TV and just signing up, you might be able to negotiate for a deal on installation, like getting your set-top box and installation for free. A few years ago, Foxtel was a clear market leader for video subscription services in Australia. But times have changed and there are plenty of other entertainment options now, like Netflix, Stan, and even Foxtel’s own video streaming service. So see if you can get your favourite shows through another source, and you’ll probably find there are little to no setup costs and much lower monthly costs. 14. Enjoy Your Pay TV! Even though many people are switching to alternatives, Pay TV with Foxtel is still a popular option for viewers who want specific shows. And if your TV aerial installation doesn’t pick up on free-to-air channels because you’re in an area with low reception, a satellite connection via Foxtel might be your best (or only) way to get channels on your TV. So, make sure you enjoy it and use it so that you get value for money – no matter what you pay. Need a TV aerial installation or Foxtel satellite installed? Or want a technician to check over your setup and make sure it’s optimal for you? When you’re ready, contact us on 1300 800 123 to book in. You’ll get the best service and advice – and we might even be able to come to you same-day.